The day to celebrate love is Valentine’s Day, which falls on the 14th of February every year. It’s the day of romance on which couples express their love for their Valentine in various ways. In some countries such as Denmark it is a holiday. It got its name from a Christian martyr and is believed to have its origins in the Roman holiday of Lupercalia. The day has got a bigger meaning in the present times and is used to express love for anybody, a friend, a mentor, who is close to one’s heart. Valentine’s Day is celebrated in United States, Canada, Mexico, the United Kingdom, France, Australia and many other countries. There are many stories about how the day came to be observed as Valentine’s Day. Three saints named Valentine or Valentinus, all of whom were martyred, have been associated with the day. According to one belief, in the third century in Rome there was a priest called Valentine. The then Emperor Claudius II was of the view that in comparison to married men, single men made better soldiers. Hence, he declared that marriage for young men joining the army was forbidden. Valentine felt that it was unfair to forcibly keep soldiers single and defied the orders of Claudius II and secretly performed marriages for young lovers. When it was found that Valentine was disobeying Claudius’s orders, Claudius gave him death penalty. In another story Valentine tried to help Christians flee Roman prisons where captives were assaulted and tortured, hence, he was killed. There are stories that the first Valentine greeting was sent by Valentine himself. While in prison Valentine fell in love with a girl, probably the jailor’s daughter, who met him in the prison. Before his death Valentine wrote a letter for his lady love and signed it ‘From your Valentine’. The expression is still used by lovers in the present times. Valentine came to symbolize a sympathetic, heroic and romantic person who became popular with young lovers. Another legend says that Valentine healed the daughter of his jailer, Asterius. By the Middle Ages, Valentine was treated as one of the most popular saints in England and France. Most people believe that Valentine’s Day is celebrated in the middle of February to pay tribute to Valentine on his death anniversary, which probably happened around A.D. 270. The other reason behind observing the day is that in order to Christianize the pagan celebration of Lupercalia the Christian Church could have thought about holding the St. Valentine’s feast day in the middle of February. Lupercalia was a fertility festival dedicated to Faunus, the Roman god of agriculture, as well as to the Roman founders Romulus and Remus and was celebrated on15th February. By the middle of the 18th century, friends and lovers of all social classes exchanged small gifts and handwritten letters or notes. With improvements in printing technology around 1900, printed cards started gaining acceptance and replaced the handwritten notes. At a time when direct expression of one’s feelings was unacceptable printed cards became an easy method to express one’s emotions. Low postage rates also encouraged sending readymade cards to greet people and show affection on Valentine’s Day. Around the early 1700s, the Americans started using hand-made Valentine’s cards and notes to greet each other. In the United States, Esther A. Howland started selling the first mass-produced valentines in the 1840s. Howland came to be known as the ‘Mother of the Valentine’, for making decorative greetings using real lace, ribbons and colorful pictures known as ‘scrap.’ According to the Greeting Card Association, about a billion Valentine’s Day cards are sent every year, making the day the second largest card-sending holiday of the year in the present times after Christmas. Though Valentine’s Day is celebrated across the globe on 14th February, the manner of celebration is different in different nations. In Denmark it is celebrated with a Danish touch instead of Roses friends and couples share pressed white flowers called Snowdrops. According to Danish tradition it was popular to exchange ‘lover’s cards’ on Valentine’s Day. Lover’s cards were transparent cards that had a picture of the person giving a gift to his sweetheart but now any card exchanged on Valentine’s Day is considered a lover’s card. Another practice on valentine’s Day is of men giving women ‘Gaekkebrev’, or a ‘joking letter’ which has a funny poem or rhyme written on intricately cut paper and only anonymous dots are used to sign the letter. If a woman who receives the Gaekkebrev is able to guess the sender’s name correctly then she gets an Easter egg later that year. France has been hailed as one of the most romantic places in the world. The origin of the first Valentine's Day card is credited to this country. It is said that in 1415 the Duke of Orleans, Charles, sent love letters to his wife while he was imprisoned in the Tower of London. Even to this day Valentine's Day cards enjoy a the popularity as much as they did before not only in France but the world over. The other V-Day tradition in France was that of ‘Loterie D'amour’, or drawing for love. During this event men and women would get into the houses that faced one another, and then made pairs by calling out to one another one by one. Men had the option of leaving a woman for another if they weren't satisfied with their match. The women who could not find a match got together to form a bonfire and burned pictures of the men who rejected them and hurled swears and insults at them. The French government had to ban the tradition completely because it became very hard to manage it. Another country where Valentine’s Day fervor is at its zenith is South Korea. Variations of the day are celebrated till April. The practice of giving presents begins on February 14th, during which women woo their partners with chocolates, candies and flowers. The reverse happens on the White Day holiday that falls on March 14th. On this day men wish their sweethearts with chocolates, flowers and gifts. These days the trend of gifting online products is on the rise. People send their gifts to their sweethearts by ordering online. The bizarre day is the third holiday: Black Day, which is observed on April 14th. This is the day for those who were left single on Valentine's Day and White Day. On April 14th it is customary for singletons to mourn their solitary status by eating black bean-paste noodles locally called as ‘Jajangmyeon’. In the country of Wales lover’s day is celebrated on January 25th instead of February 14. The Welsh celebrate Saint Dwynwen, the Welsh patron saint of lovers, on this day. The peculiar romantic Welsh gift is a love spoon. This tradition began in the 17th century, when men would carve out intricate wooden spoons to express their love for the woman they adored. The spoons had carvings of different patterns and symbols; each having a different meaning. The carvings had symbols such as horseshoes, which were thought to bring good luck; wheels, which signified support; and keys, which meant the keys to a man’s heart. In the present times too love spoons are also exchanged on occasions like weddings, anniversaries and births. In China too Valentine’s Day is not celebrated on the 14th of February, their V-Day is called as Qixi, or the Seventh Night Festival, that is observed on the seventh day of the seventh lunar month every year. The story behind the Chinese lover’s day is that a heavenly king's daughter named Zhinu and Niulang, a poor cowherd, loved each other. They got married and had twins. . When Zhinu's father came to know of their marriage, he asked his queen to bring Zhinu back to the stars. But when the king heard the cries of Niulang and the children, he consented to the meeting of Zhinu and Niulang once a year on Qixi. During Qixi, young women prepare dishes of melon and other fruits to offer to Zhinu in the hope that they’ll find a good husband. . Couples also visit temples to pray for happiness and prosperity in their life. When night falls people look at the sky to watch the stars Vega and Altair (Zhinu and Niulang, respectively) come close during the annual reunion of the unfortunate pair. It was a practice in England to keep five bay leaves - one at each corner and one in the centre - on their pillows on the eve on Valentine’s Day, so that dreams of their future husbands come to them. Women would also dip bay leaves in rosewater and put them across their pillows. In Norfolk, Jack Valentine is like a Santa for Valentine's Day. Children wait impatiently to hear Jack Valentine knock at their doors, and although they don't get to see Old Father Valentine even remotely, children enjoy the candies and small gifts left for them by him. In the Philippines innumerable people tie their knot on Valentine's Day in mass wedding ceremonies, which has picked up a lot of followers in recent times. Hundreds of couples throng to public places like malls across the country to get married or to renew their vows en masse. The other celebrations are quite the same as those in Western countries. 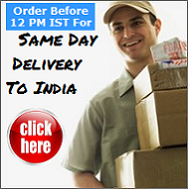 In the present times people are also opting for online shopping to buy gifts for their sweethearts. Many people also send gifts and chocolates to their dear ones who live far from them. Perhaps the only place where Valentine's Day was celebrated as a festival is Italy. The country celebrated V-Day as the Spring Festival. Young people and couples met in gardens and other open spaces and participated in poetry readings and music and took a walk with their partners. In Italy, there was a strange tradition of young women waking up at dawn to see their future husbands on Valentine's Day. It was thought that the first man a woman looked at on Valentine's Day was the man she would get married to in a year’s time. If not so then the man would strongly resemble her prospective husband. Another Italian Valentine's Day tradition was for young, unmarried girls to wake up before dawn to spot their future husbands. The belief was that the first man a woman saw on Valentine's Day was the man she would marry within a year. Or he'd at least strongly resemble the man she would marry. On Valentine’s Day Italians exchange gifts and go for romantic dinners. Small, chocolate-covered hazelnuts wrapped with a romantic quote printed in four languages called as Baci Perugina is the most favourite gift for people on V-Day in Italy. The equivalent to Valentine’s Day in Brazil is ‘Dia dos Namorados’, or ‘Lovers’ Day,’ on June 12th. Chocolates, flowers and cards flood the markets and people mostly exchange them to express their love. The Day is not limited to celebration by couples, even friends and relatives are a part of the celebrations. People take their loved ones out for dinner. Apart from this music festivals and performances are held in the entire country. The day after Lovers’ Day is Saint Anthony's Day, on which the patron saint of marriage is honored. Valentine’s Day in South Africa is celebrated with flowers, cards, gifts and chocolates. The South Africa women wear their hearts on their sleeves on this day on which they pin the names of their lover. The gifts for Valentine’s Day are as many in number as there are nations in the world and with online shopping the options are limitless. Couples can choose from cards, to flowers to chocolates to gifts like soft toys, perfumes, scented candles, hearts with different designs, showpieces, rings, bracelets, lockets with or without chains, cakes, handbags, clutches, wallets, and much more. Websites like awesomeji.com offer free delivery across India and also sends gifts to Canada, UK, U.S, U.A.E and Australia. They have wide variety of flowers, chocolates and gifts to select from for Valentine’s Day. The delivery is on the same day so one doesn’t have to worry about delays. Besides the products are cheap and of very good quality.